Welcome to the City of Rancho Cordova’s Community Engagement Program! Housed in the Communications and Public Affairs Department, this program focuses on the most important natural resource we have: people! 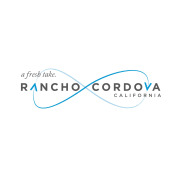 Residents of Rancho Cordova have worked tirelessly to build neighborhood coalitions, clean-up neighborhoods, plant gardens, build relationships, and create a sense of community, making this a fun and safe place to live, work, and play. Would you recommend City of Rancho Cordova?